AISI 8620 is a type of alloy steel, which composed of iron, carbon, silicon, molybdenum, manganese, nickel, chromium, sulphur and phosphorus. These ingredient elements must be within certain weight percentages to create the 8620 alloy. It takes advantages of good strength and toughness properties, and has a higher core strength than grades 8615 and 8617. The equivalent Chinese material of AISI 8620 alloy steel is 20CrNiMo, which is a common material grade in steel forging. This alloy is forged at a start temperature of around 2250ºF (1230ºC) and could be forged down to approximately 1700ºF(925ºC.) The alloy is air cooled after forging. 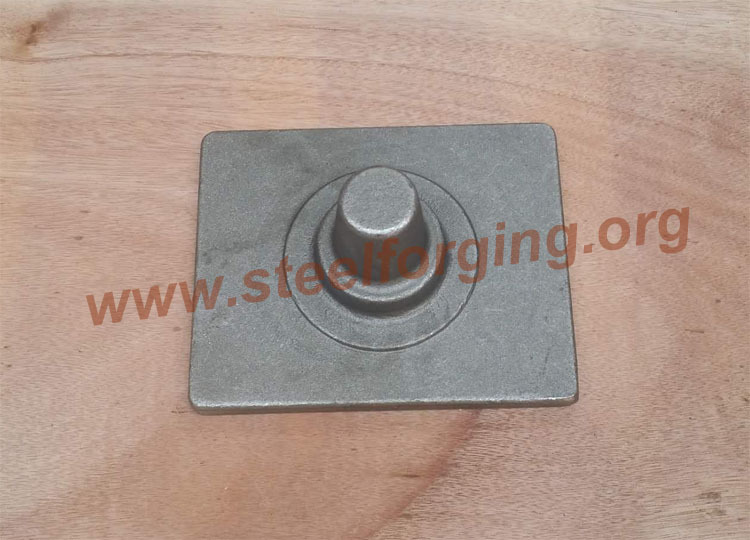 The method of forging AISI 8620 steel used is closed die forging, which is very suitable for small precision components. Normalizing: 1675ºF (910ºC) and air cool. This is another method of improving machinability in this grade; normalizing might also be used prior to case hardening. Hardening: The alloy will be austenitized at around 1525ºF (830ºC) and oil or water quenched depending upon section size and intricacy. AISI 8620 steel forging material is used extensively by all industry sectors for light to medium stressed components and shafts requiring high surface wear resistance with reasonable core strength and impact properties. Typical applications are: Arbors, Bearings, Bushings, Cam Shafts, Differential Pinions, Guide Pins, King Pins, Pistons Pins, Gears, Splined Shafts, Ratchets, Sleeves and other applications where it is helpful to have a steel that can be readily machined and carburized to controlled case depths. Any inquiry on AISI 8620 Steel Forging, pls feel free to contact us!